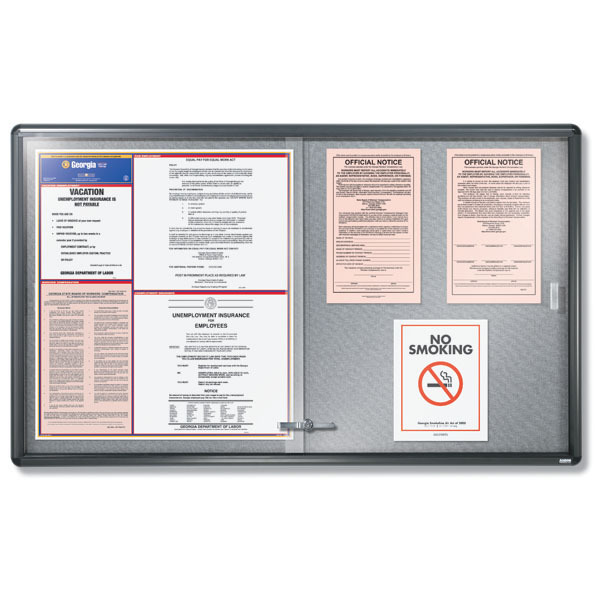 This convenient case displays and protects your important labor law postings, notices and bulletins. Labor law posters are sold separately. Please select UPS Ground at checkout as this product cannot be shipped Next Day, 2nd Day or 3rd Day Air due to production time. Lockable, shatter-resistant doors ensure your materials aren’t tampered with or missing in the event of an inspection. 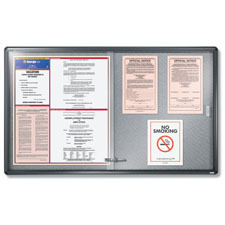 The Deluxe Sliding Door Poster Center accommodates your company’s posting needs and was designed to fit most posters. Deluxe Sliding Door size: 60" x 36"